In How the French Think, the internationally-renowned historian Sudhir Hazareesingh tells the epic and tumultuous story of French intellectual thought from Descartes, Rousseau, and Auguste Comte to Sartre, Claude Lévi-Strauss, and Derrida. 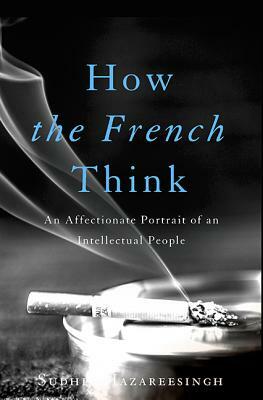 He shows how French thinking has shaped fundamental Westerns ideas about freedom, rationality, and justice, and how the French mind-set is intimately connected to their own way of life-in particular to the French tendency towards individualism, their passion for nature, their celebration of their historical heritage, and their fascination with death. Hazareesingh explores the French veneration of dissent and skepticism, from Voltaire to the Dreyfus Affair and beyond; the obsession with the protection of French language and culture; the rhetorical flair embodied by the philosophes, which today's intellectuals still try to recapture; the astonishing influence of French postmodern thinkers, including Foucault and Barthes, on postwar American education and life, and also the growing French anxiety about a globalized world order under American hegemony. Sudhir Hazareesingh is a Fellow in Politics at Balliol College, Oxford, a Fellow of the British Academy, and author of the prize-winning books The Legend of Napoleon and In the Shadow of the General. He divides his time between Paris and Oxford.